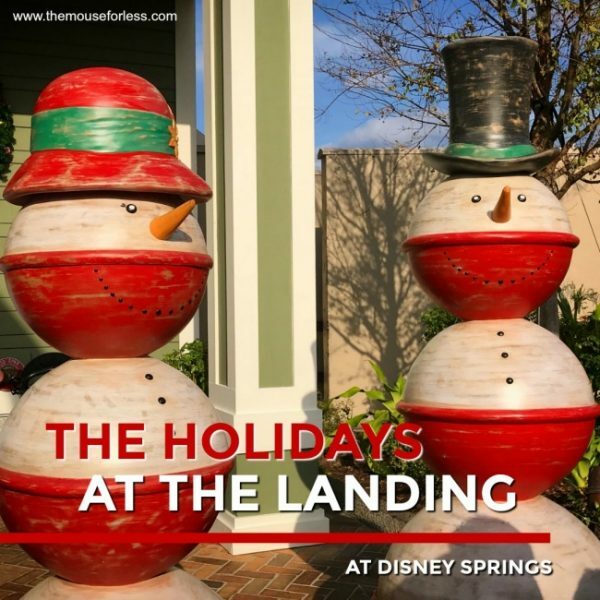 Enjoy the hustle, bustle and good cheer of the holiday season in the Disney Springs area. Great shopping, live entertainment and a fantastic photo op with Santa himself make this the perfect one-stop, holiday shopping location. Check out the dazzling displays of holiday trees, lights and the special holiday window dressings that adorn the shops and restaurants. Feast your eyes and ears on the seasonal carolers, musical acts and holiday variety performers, including Toy Solider stilt walkers, Snowflake performers, a Kwanza Celebration, and Hanukkah medleys throughout the streets. 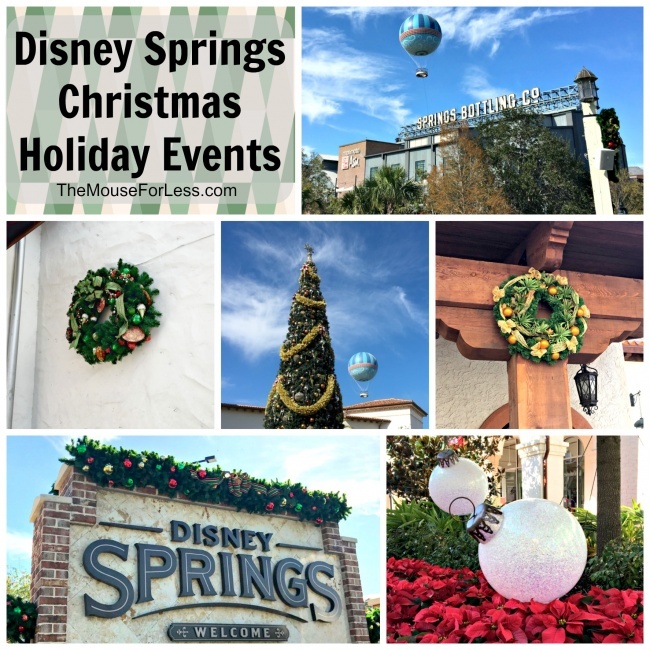 The Disney Springs area is truly a winter wonderland from November 8 through January 6. Santa appears at Santa’s Chalet, located near the Christmas Tree Trail in the Marketplace section, daily through Christmas Eve. There is no charge to see Santa in this location. Guests who wish to meet Santa will be able to pick up a pager upon check-in to secure their place in a virtual queue line. Upon arrival, you’ll receive a pager from one of Santa’s Helpers; when it’s time to take your place in line, you’ll be notified. 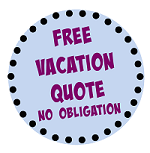 Simply return to the podium within 10 minutes. In the meantime, you can shop, dine and enjoy holiday décor and festivities throughout Disney Springs! When it’s your turn to meet jolly old Saint Nick, you can use PhotoPass services or your own camera to capture photos with Santa. 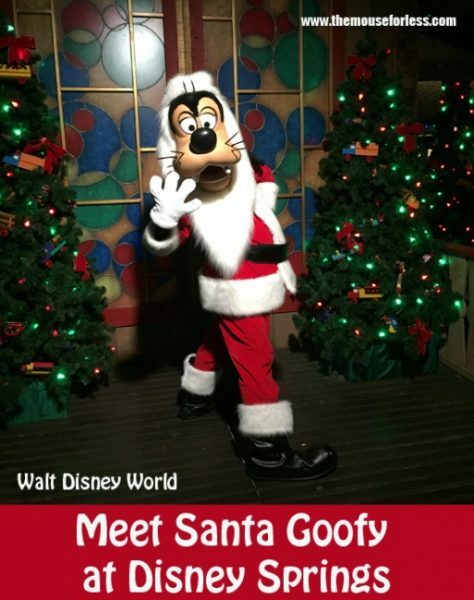 Santa will be greeting guests November 8 through December 24 from 11:00 a.m. until 11:00 p.m.
Once Santa has headed back to the North Pole, Santa Goofy will then meet with Guests from December 25-30 during the same hours. Guests will be able to begin their walk-through experience near the play fountain outside Once Upon a Toy in the Marketplace. Once there, you’ll spot an alluring pathway to explore. During this walk-through experience, you’ll wind through a lovely winter wonderland complete with a gentle snow fall, toy soldiers, singers and plenty of opportunities for photos! Hours are 11:00 a.m. until 11:00 p.m.
Stitch’s Holiday Gift Hunt is a fun-for-the-whole-family scavenger hunt-style activity will send you through all four neighborhoods of Disney Springs. 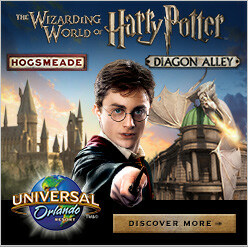 Once complete, Guests should visit participating locations for a limited-edition completer button. 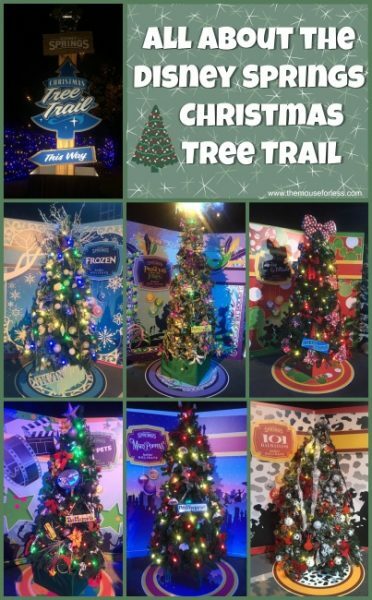 Every evening at 6:00 p.m., Guests will be able to experience a festive tree lighting ceremony where a family of the day will be chosen to illuminate the Marketplace signature tree in front of the Once Upon a Toy fountain play area. 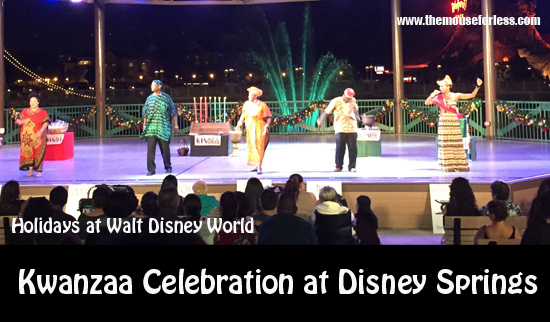 Guests will also be able to enjoy a holiday-themed DJ dance party, games and activities. Waterview Park gives guests the chance to learn about and experience the story of Hanukkah through music. Showtimes are scheduled throughout the evenings of December 24 through January 1. Guests will be transported to a magical winter wonderland as they visit the West Side. The vibrant blue ornaments, beautiful white holiday lights, and contemporary Christmas trees will bring holiday cheer to all ages. Disney Springs features holiday shopping adventures for every age and budget, including Once Upon a Toy, filled with exclusive playthings from Disney and Hasbro; World of Disney, the world’s largest character emporium, plus LEGO Imagination Center and Disney’s Days of Christmas holiday shop. Guests can meet the Coca-Cola Polar Bear found the on the second floor of The Coca-Cola Store. To top off your Disney Springs holiday shopping trip, be sure to stop by Ghirardelli for Sea Salt Caramel Hot Cocoa – it just doesn’t get any better! 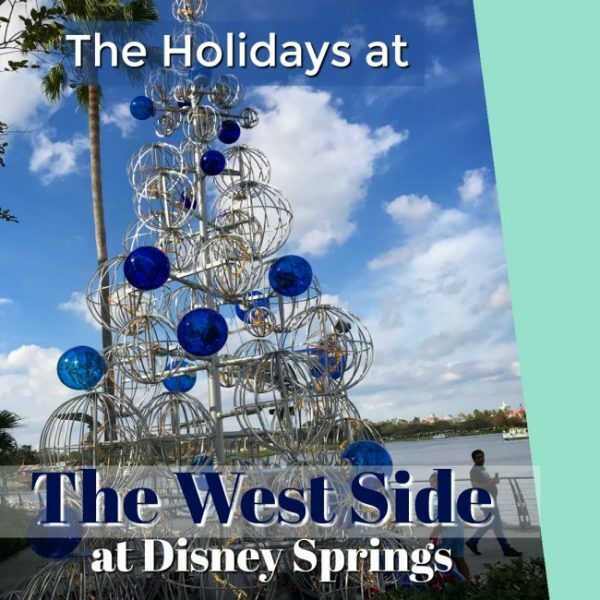 Click if you are curious about holiday events at the Magic Kingdom, Epcot, Disney’s Hollywood Studios, Disney’s Animal Kingdom, and the Disney Resort Hotels.